Item number K4.360 from the MOA: University of British Columbia. 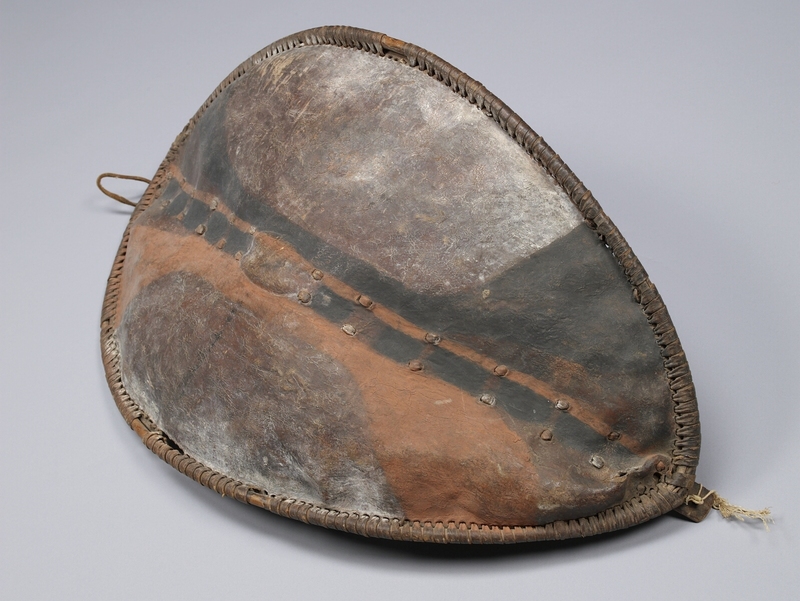 Shield with overall convex oval shape made from skin sewn with strips of skin to a bent wooden frame. 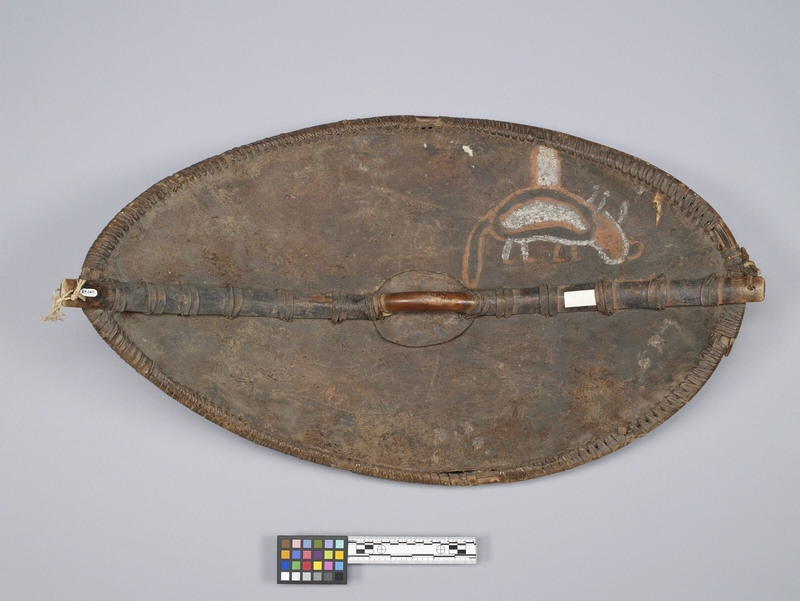 The skin is painted with reddish-brown and black geometric designs and has a raised centre. An animal-like figure is painted in reddish-brown and white on the reverse. There is a length of wood attached at the reverse that is bent at the centre to form a handle. A length of fibre and a legth of skin are attached through holes at either end of the handle.